AIR-CONDITIONED TENT: I take my two sons to the beach in North Carolina for three days. The catch: we only have 100 bucks for lodging. 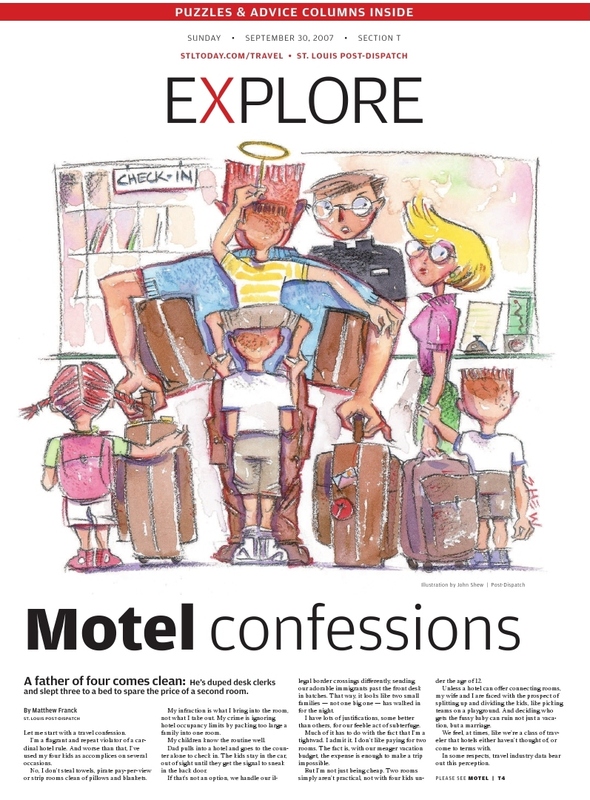 MOTEL CONFESSIONS: In this piece from 2007 I come clean about packing too many kids in a single hotel room. UNPLUGGED TRAVEL: Here I require my kids to travel completely without modern electronics on a 540-mile drive on Route 66. 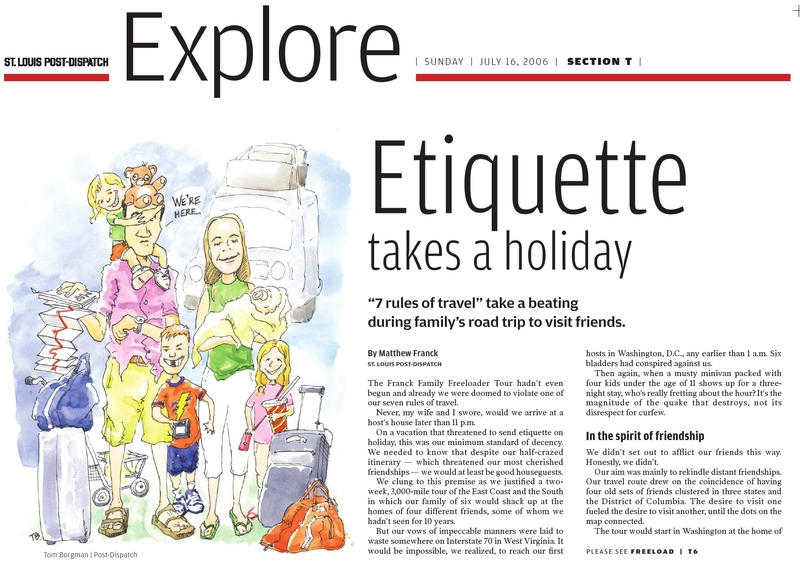 SEVEN RULES: We tried to behave on a two week trip in which we would spend most nights with friends. But this was the result. 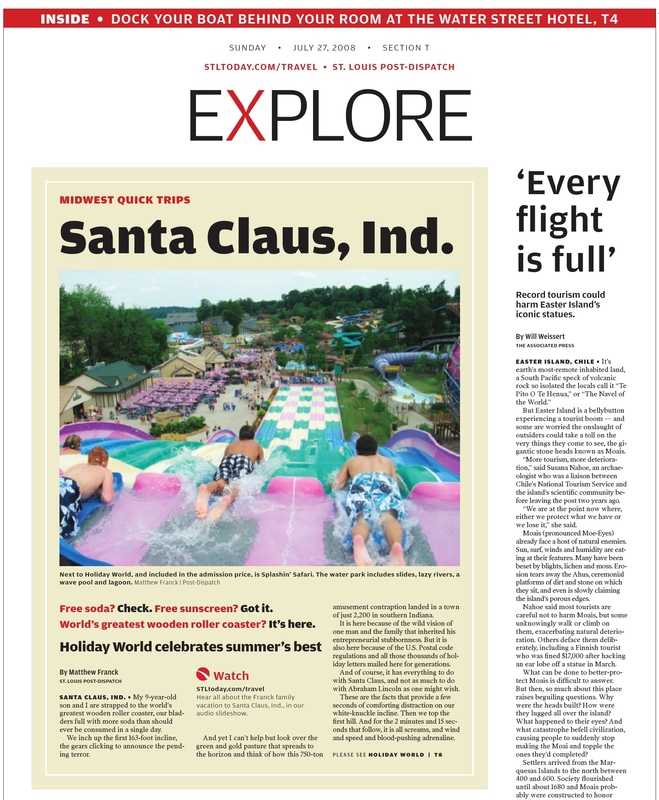 HOLIDAY WORLD: A trip to Santa Claus, Ind., fills the bladder, in the other Land of Lincoln.